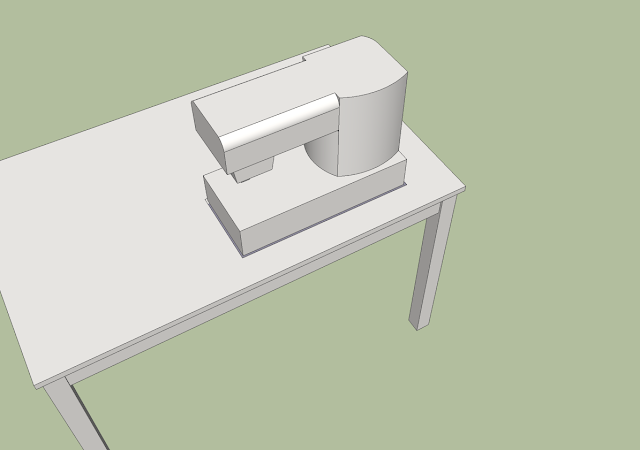 Since I posted my plans in 2011, hundreds (maybe thousands) of folks have adapted a wooden table to accommodate a sewing machine. 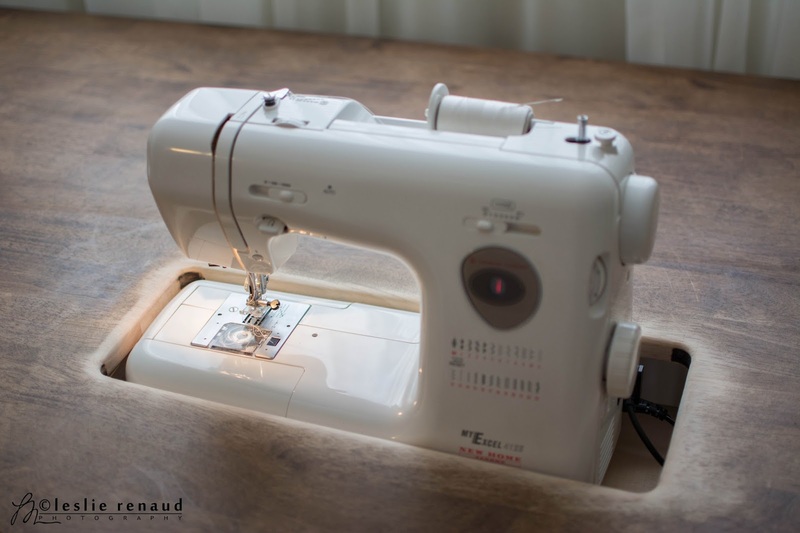 This sewing table tutorial uses the IKEA INGO table as it's base, but any wooden table will do. If you use or modify these plans for your blog or website, please link back to my site. 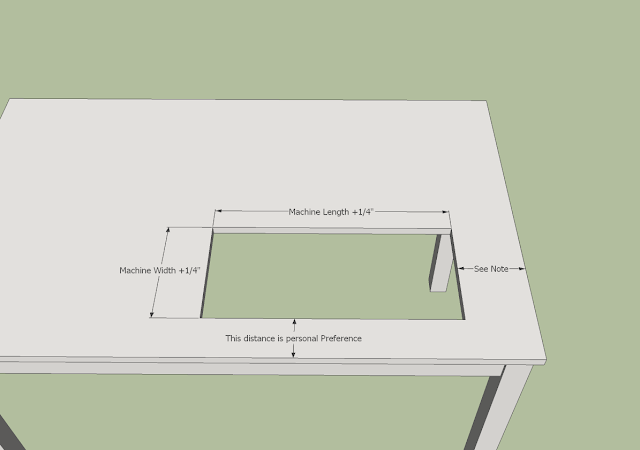 Given that every sewing machine is different and every table will be different, I can't give any set dimensions, or even a concrete cut list for this plan, but I can provide a basic list. It will cost $5 - $15 in materials to convert a table, and this project can be great for using up plywood scraps. 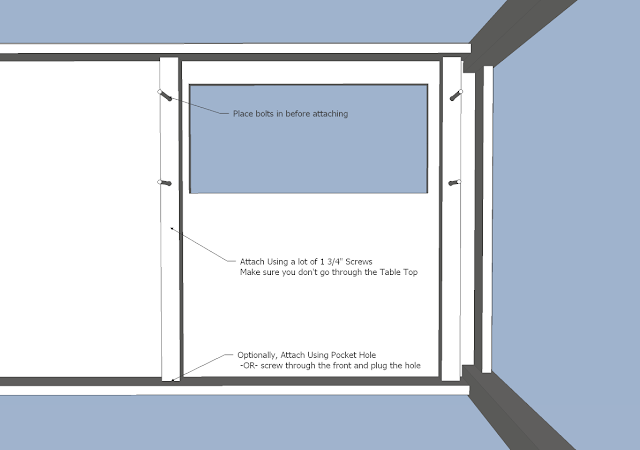 This is a fairly simple project, that novices can complete. You can see my blog post here for more pictures of my table, or scroll down for more links to user submitted photos of their completed tables. (6 to 10) Screws - 1 3/4" long. 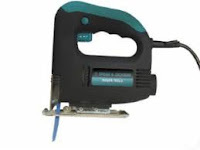 Use self tapping deck, drywall, wood , or coarse pocket hole screws. See details in Step 5. Pencil the shape of your sewing machine on top, I would say about a 1/8" wider than your sewing machine on all sides. It's personal preference how far back you put the machine, but I recommend placing the needle 8.5" from the front edge. Before cutting the hole with a jigsaw, first drill a pilot hole on the inside of your soon-to-be hole. Then place the jigsaw bit in the hole and start cutting from there. Gently curve onto the line you traced and continue until you finish cutting out the hole. Then use sandpaper to sand the edges smooth. Using sandpaper around a large dowel/pipe help smooth out the corner radius. Test with your sewing machine to make sure it fits in and out (it should be snug, but you shouldn't have to fight to get it out). Keep sanding with coarse paper at until you get it to size, then smooth it down with fine sandpaper. If you accidentally cut it too wide, gluing a a craft foam strip along the edges will help keep it in place and dampen any vibrations. 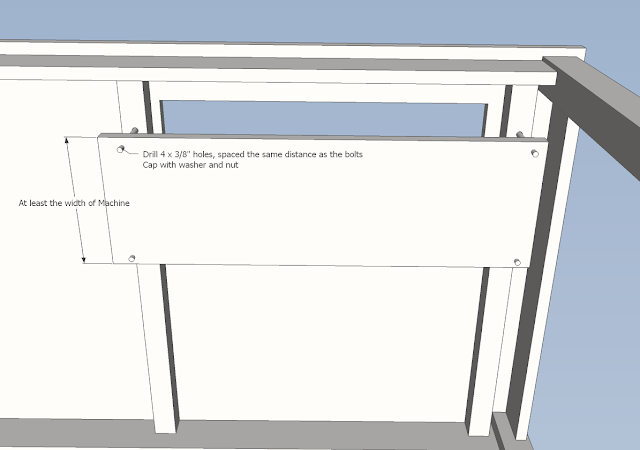 Cut the 2"x2" board into two pieces, each to the distance between the supports of your table. Note: If your cords are below the table, do not attach directly to the side of the table, as you won't have enough room to plug the machine in. Mark the 4 bolt holes (used to support the machine) to just the inside of the width of the machine as shown in the image below. Then drill 3/8" through-holes at your marks and countersink with a 5/8" inch bit, down to about 3/8" deep. 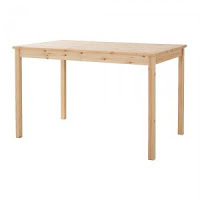 There are two method to support the table, screwing the supports to the top of the table with screws or screwing to the tabletop (or both). Place the bolts in the countersunk holes and with the table flipped upside down, set the supports into place. They should be within an inch of the cutout for your machine, but don't have to be flush with the hole edge (be sure you don't space them wider than the length of your platform board!!). Once positioned, screw the 2"x2" supports to the top of the table. Use 3 to 5 screws per each support and screw them to the tabletop. I prefer using deck screws as they are self tapping, which means they drive easier and split wood less frequently. 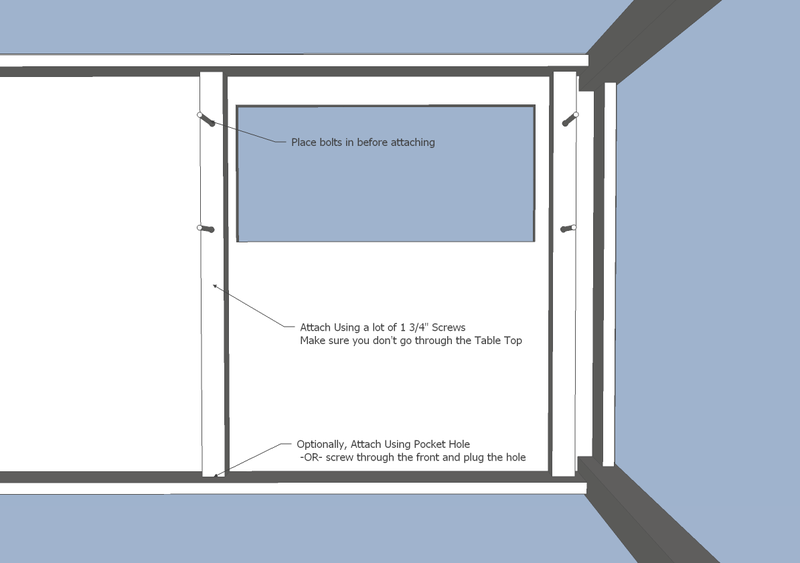 Make sure the screws enter the table top far enough to grab hole, but be sure not to pierce the top! Cut the long side of the 8" wide platform board about 1" bigger than the distance between the bolts. 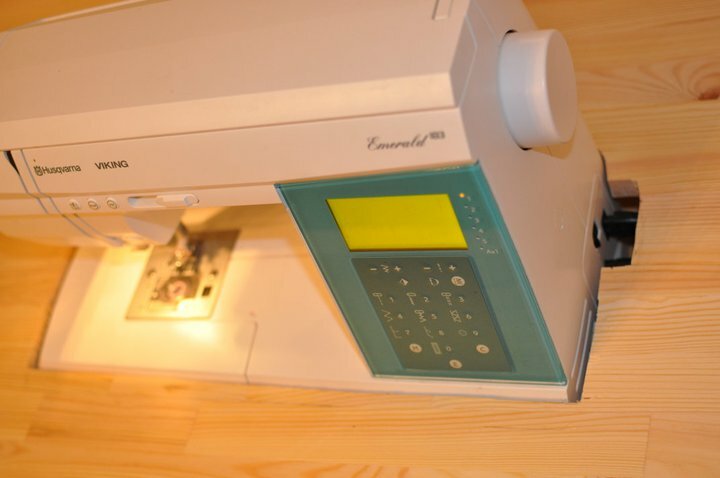 Optionally, you can also rip the short side to about the width of your sewing machine. Sand down the edges of the platform well, as your legs (and kids) will likely be under there. Drill 3/8" holes in the platform, matching the spacing of the bolts. This is key so, so remember to measure twice, cut drill once! 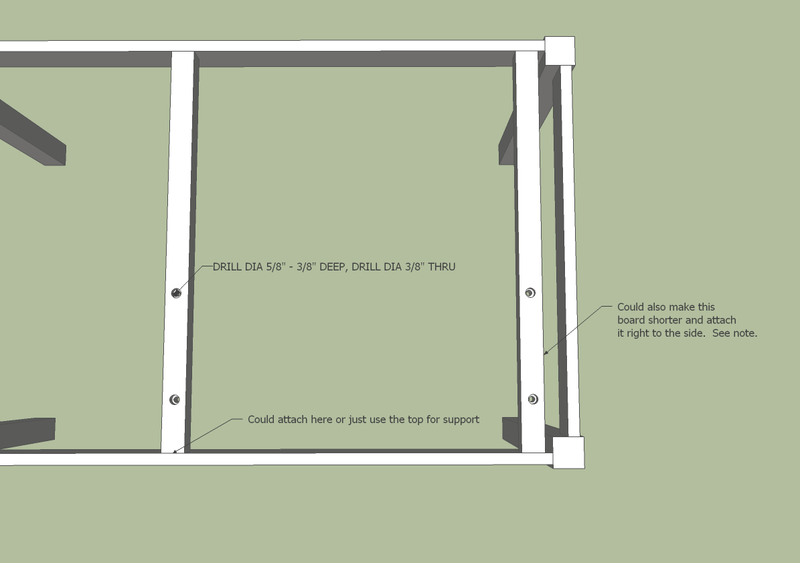 Flip the table over, and lift the platform on the bolts. Lightly secure with the washer and nuts. 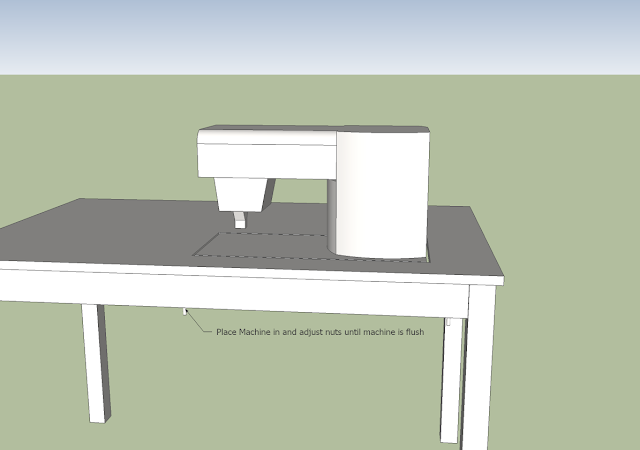 Place your sewing machine on the platform and twist the locknuts until the machine is flush with the table top. If the bolts extend far beneath the platform, a hacksaw (or reciprocating saw) can be used to trim them shorter. If your legs will be near enough to the bolt bottoms, placing some duct table or bolt caps can help protect from little dings. All done! 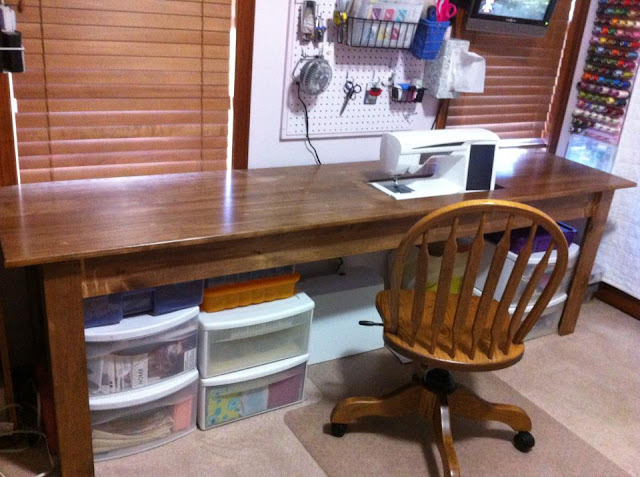 Enjoy your new sewing station and feel free to post a picture to facebook or email me and I'll add your finished table to the gallery below. The table at the top of the post is mine. Check out more real life pictures of the underside of my table on my blog. 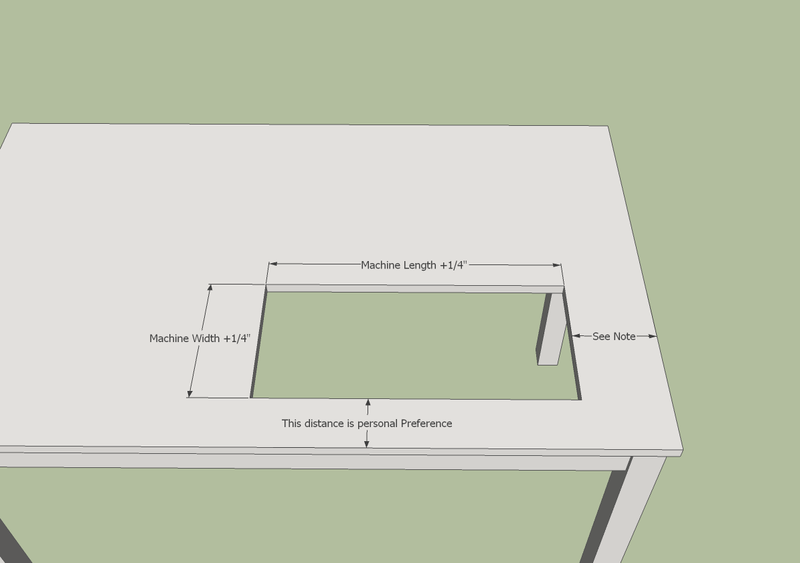 This is the first table someone made from my blog post. This was the first time my friend ever used a jigsaw. Didn't she do a great job? Jean, at The Quilted Cupcake made a "happy accident" and ended up with a shelf under her table for support. Although it's not adjustable, the height of the sides worked great for her machine. She also drilled a hole in the front for the foot lever (.... and maybe someday I'll get around to doing that for mine.) She also added a sheet of vinyl on the top to keep it slick- check hers out here! 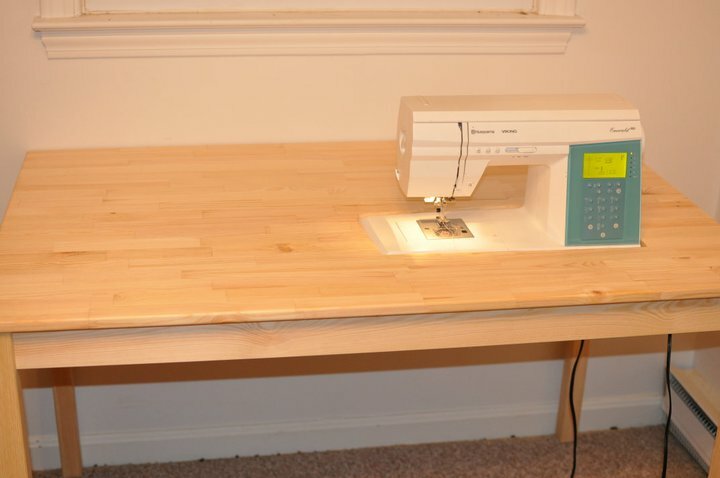 This entire sewing table was a DIY by Tina using this plan. Materials were around $125 for the whole table and it's super roomy! Doesn't it look awesome in her crafting space? 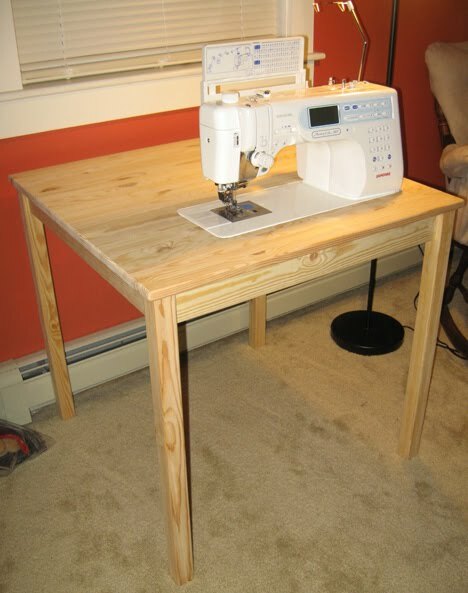 Marta also used the IKEA INGO table to make her sewing table. Check out her INGO specific tutorial here and the IKEA hack here. Lots of pictures! Routered edges on this table make for a smoother transition between the curved edges of the sewing machine and the table. Looks great, doesn't it? Check out Leslie's version at the lucky fox. 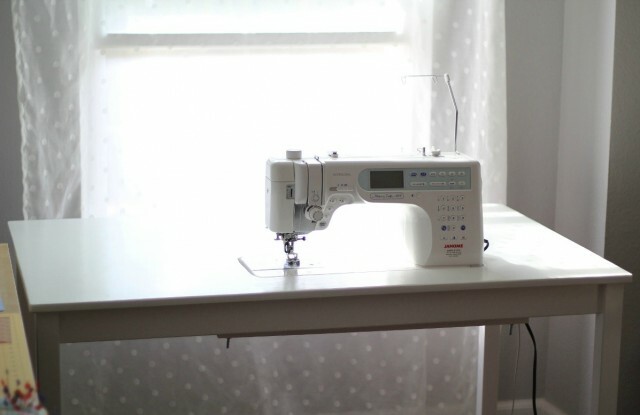 After having a desk sewing machine set up, I really miss that with my new machine. The extension acrylic tables are nice, but the continuous surface of a machine set at the same level as the table is soooo much better. I'll have to work this into my sewing room redesign. Thanks for all the great photos.